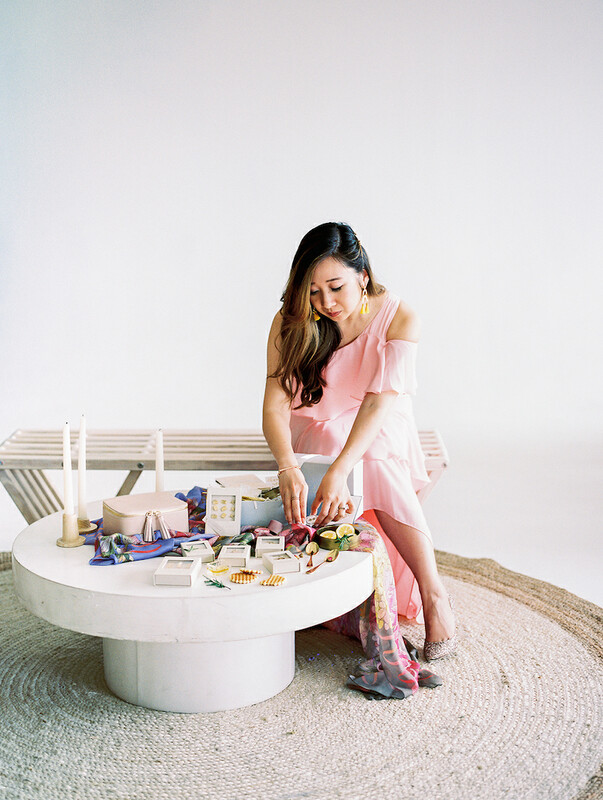 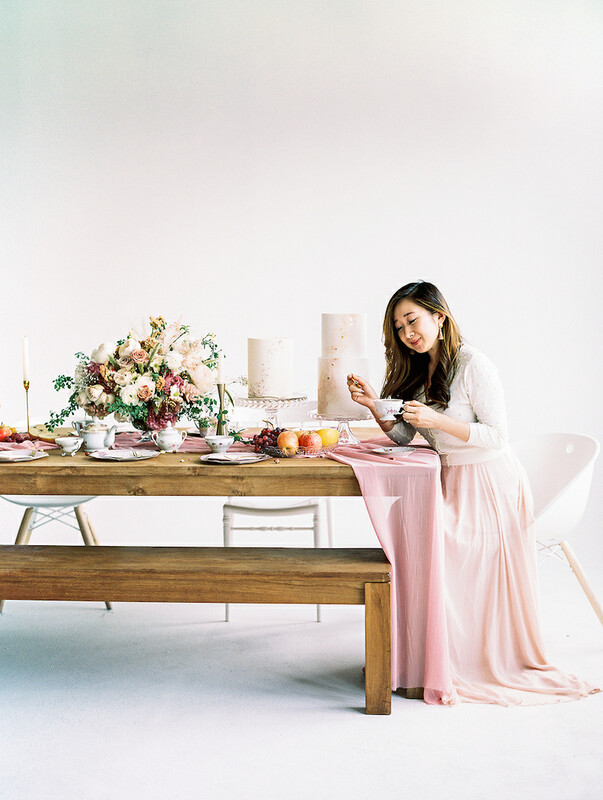 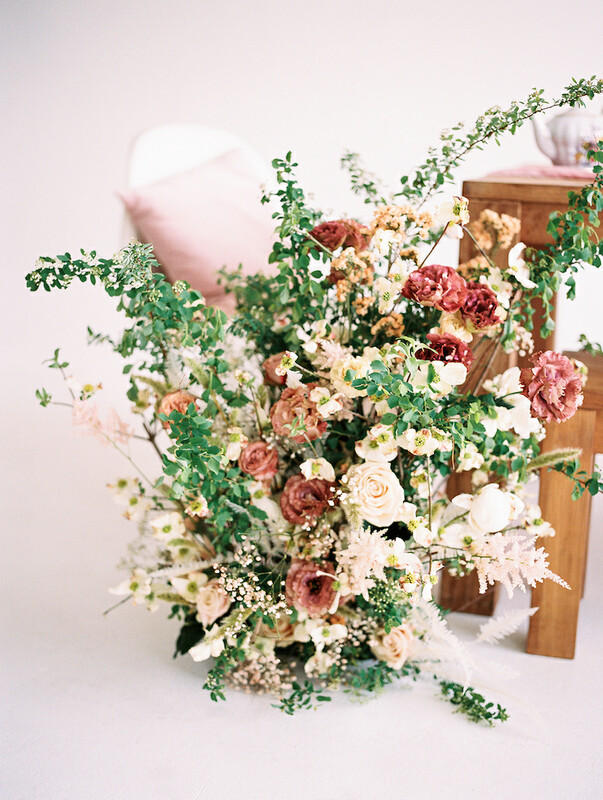 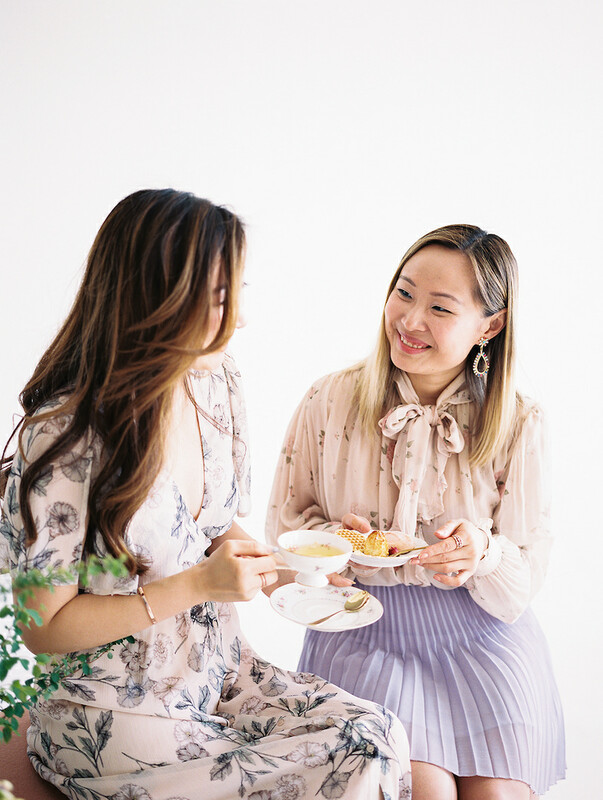 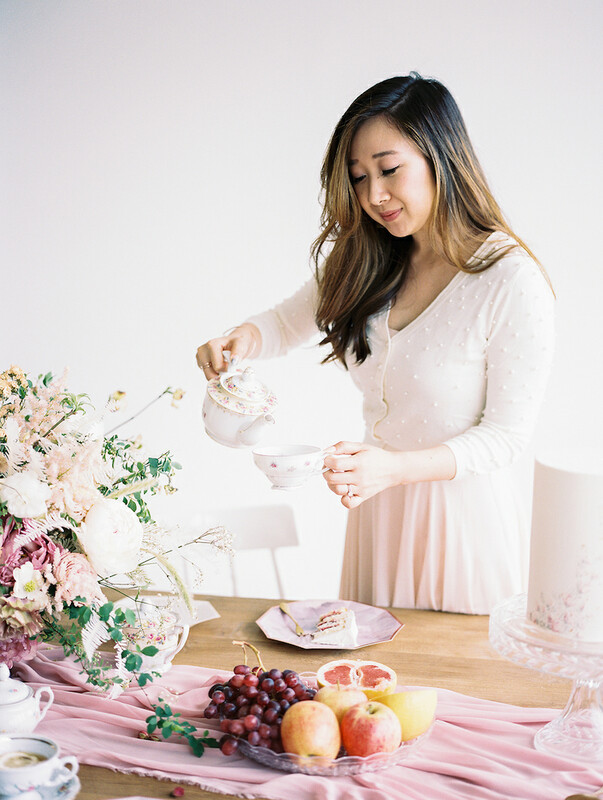 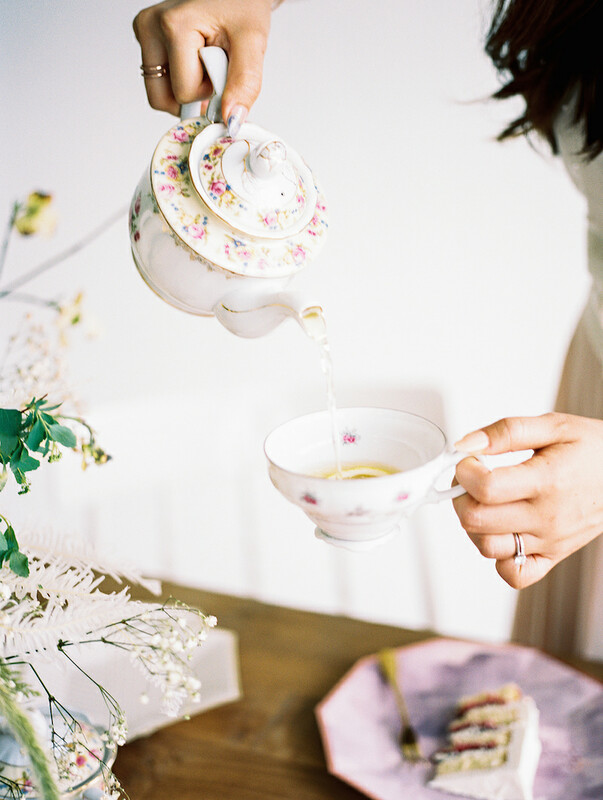 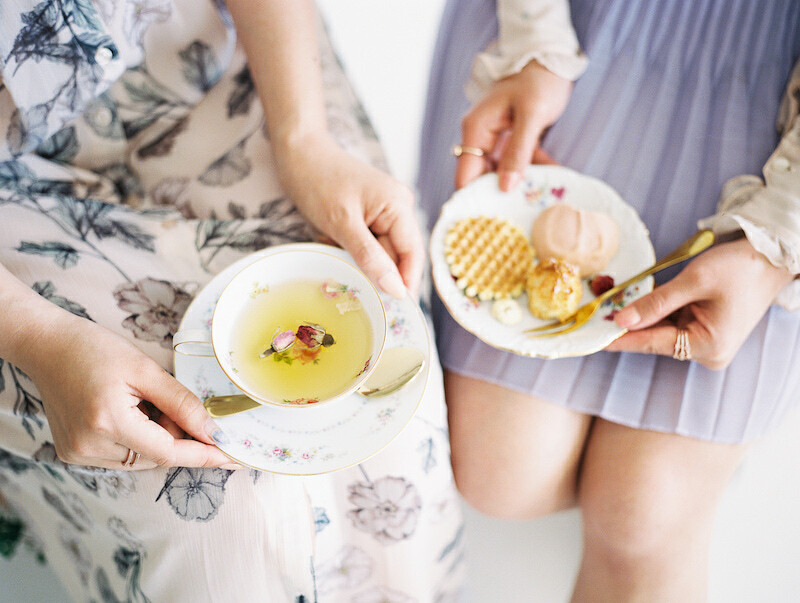 We’ve always been a fan of Tricia’s romantic and timeless style with a modern twist, and when we spotted the runway set up of Tory Burch FW ‘18, we knew that we wanted to channel this inviting garden feel to the afternoon tea gathering we are creating with Tricia. 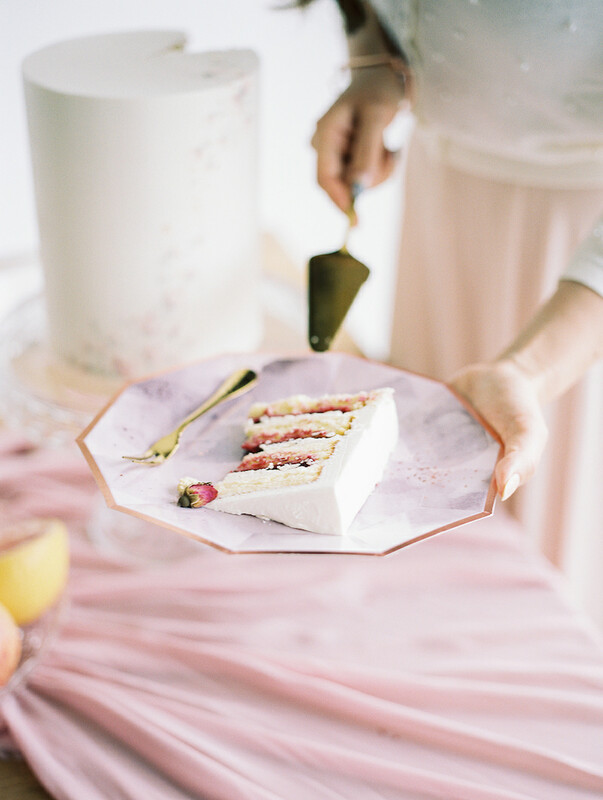 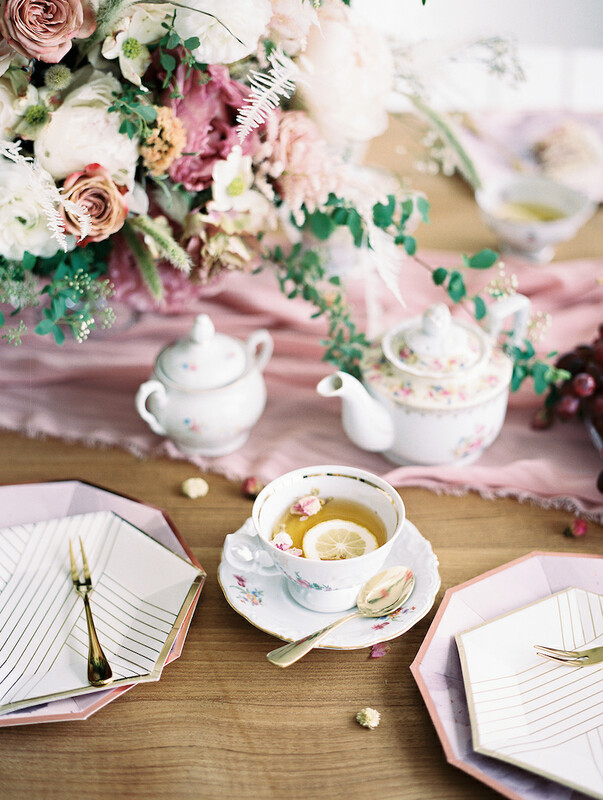 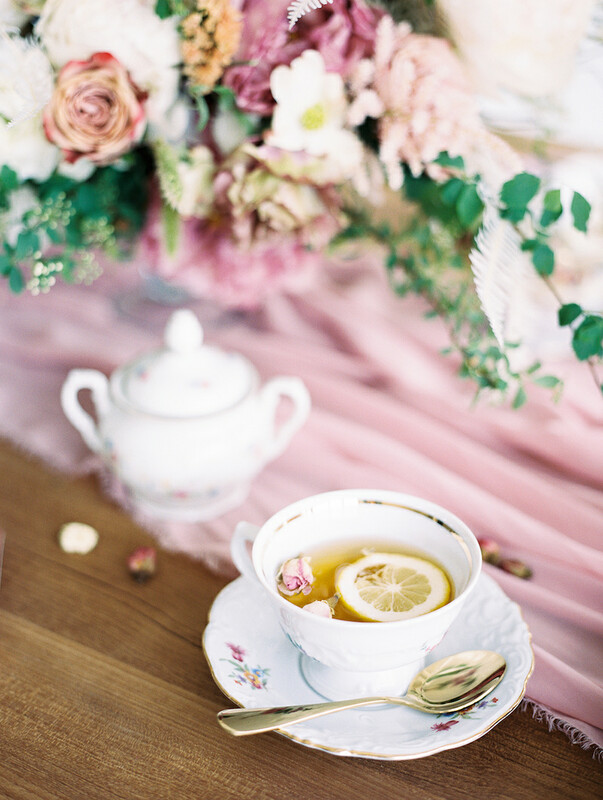 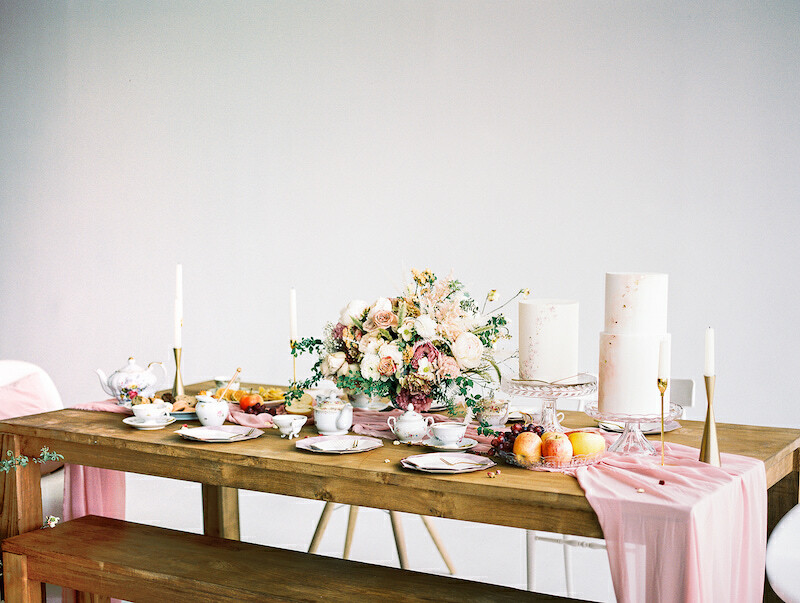 Since this lovely afternoon tea is taking place during the spring time, we wanted to also incorporate a few popular SS ‘18 trends, such as transparency, sheerness, millennial pink, pastels and fringe-like textures. 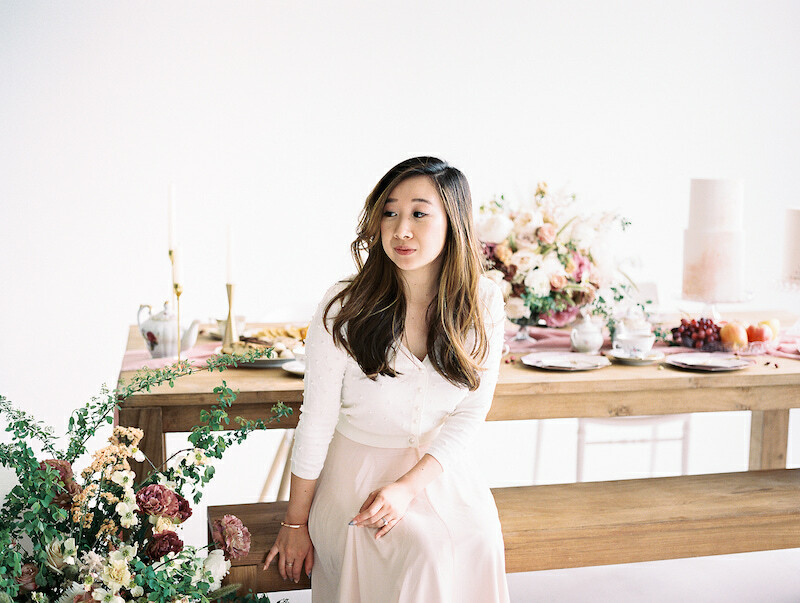 We wanted to direct Tricia’s style into our design - classic with a twist. 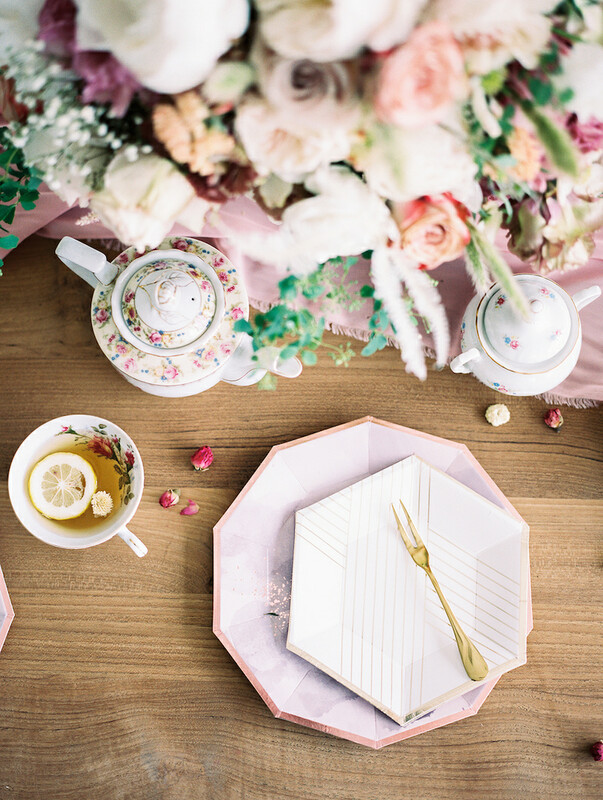 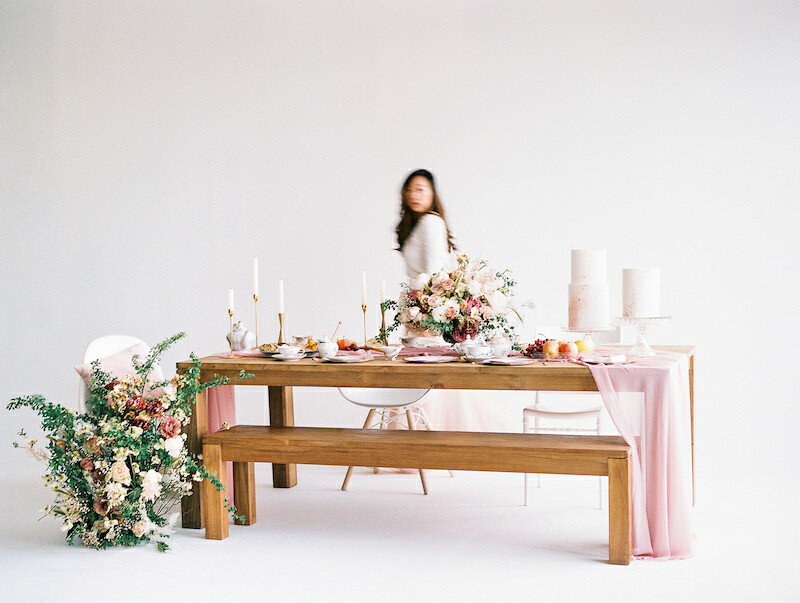 The darling classic vintage tea sets was mixed with modern geometric paper plates for the tablescape, while the beautiful natural wooden benches and jute ottoman were styled with contemporary chairs. 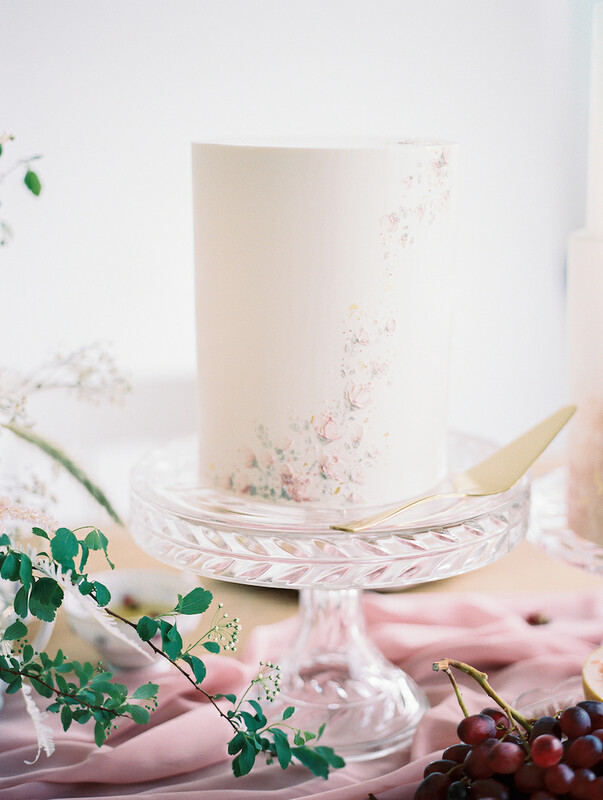 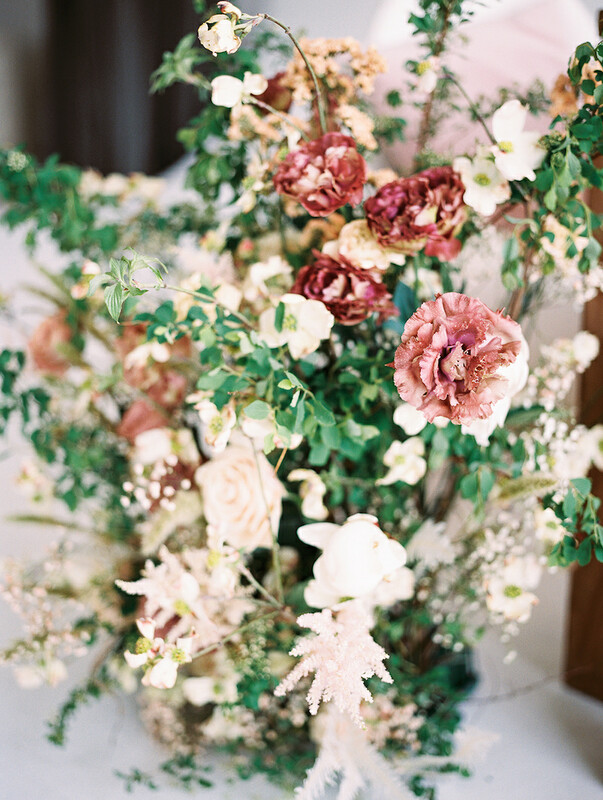 For floral, paper and cake designs, we focused on showcasing the beauty of natural textures. 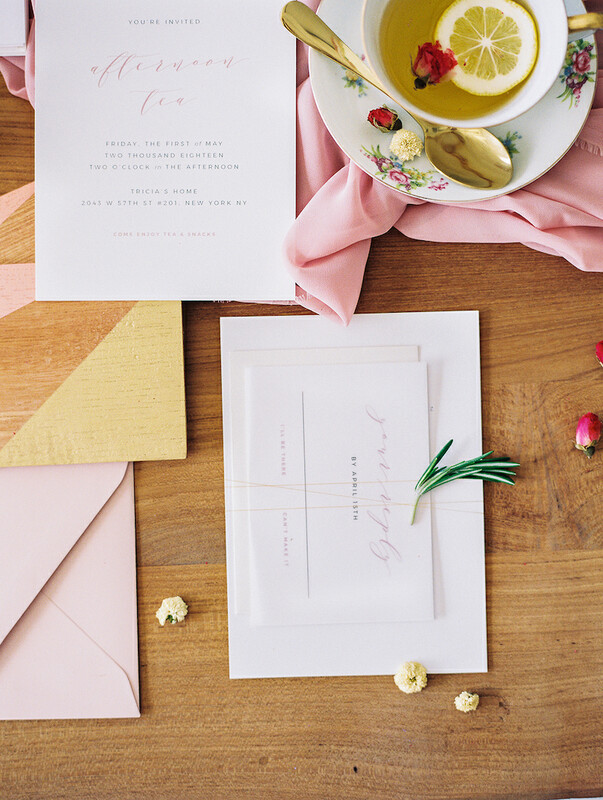 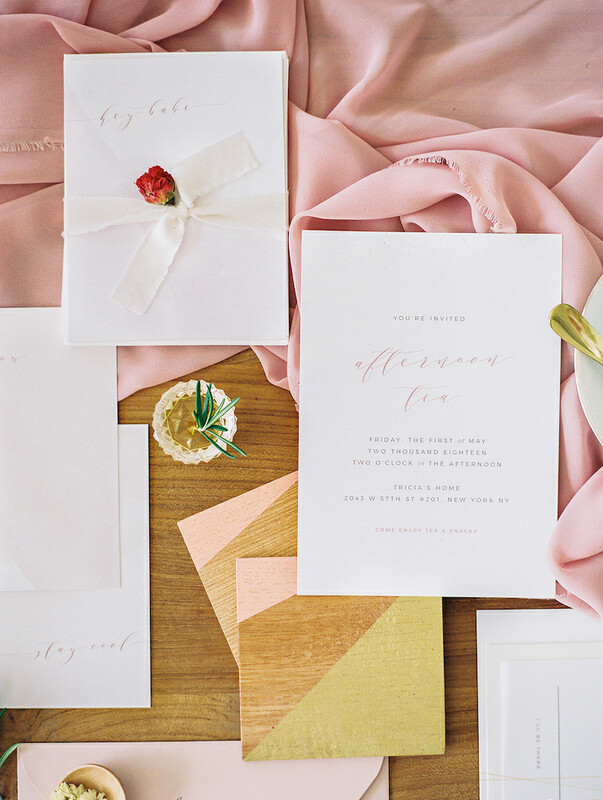 From watercolor invitation design, hand-dyed ribbons, hand-painted cake design, to the garden-inspired floor arrangements and the organic lush centerpiece with pieces trailing down the table runner. 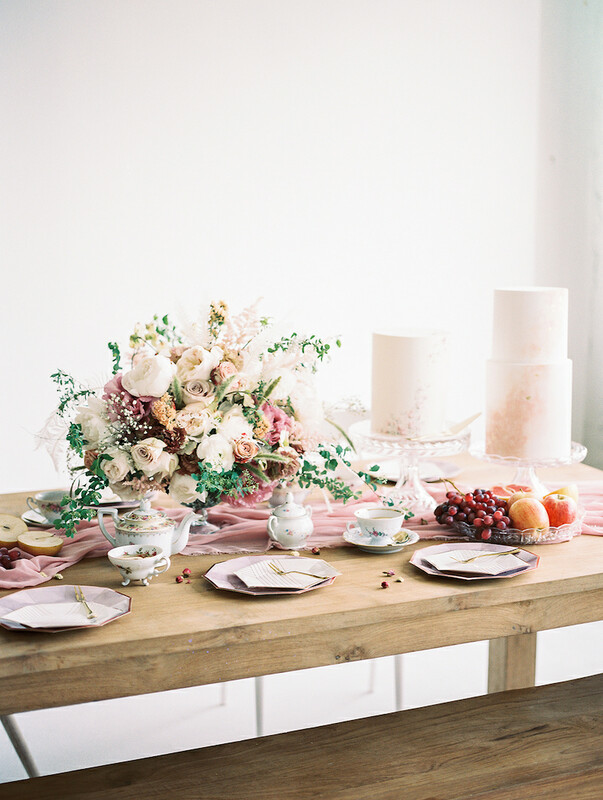 We also added a few different fruits to our tablescape to create that inviting and intimate atmosphere. 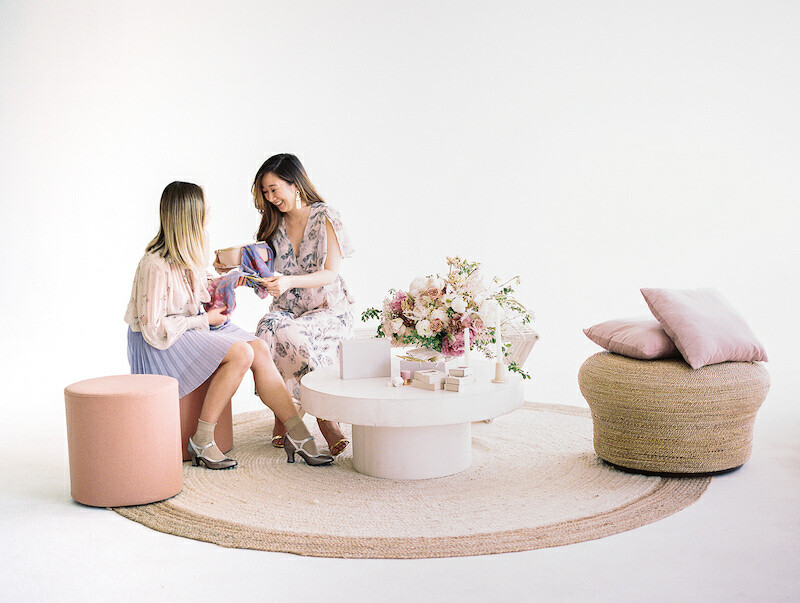 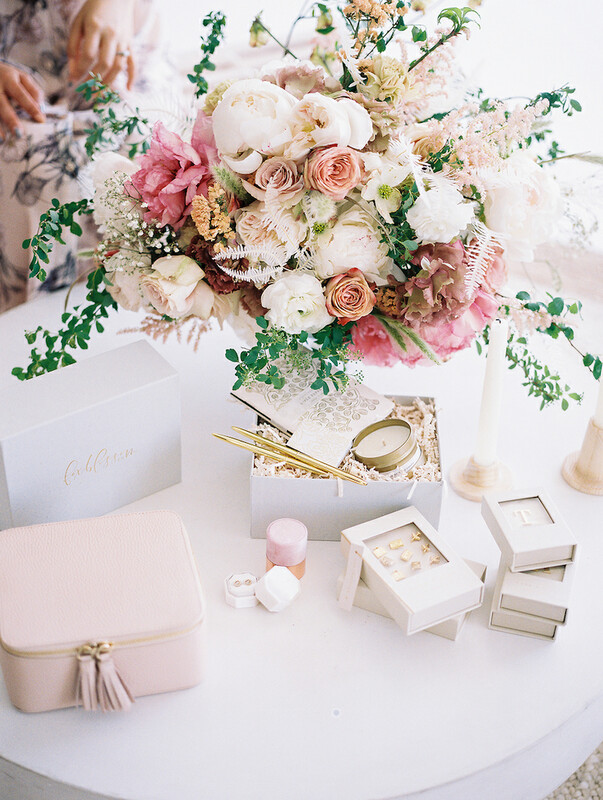 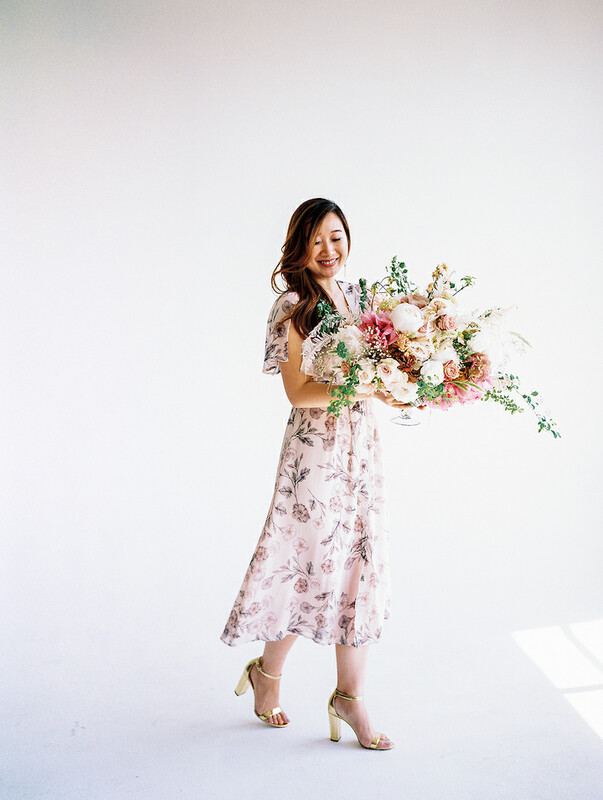 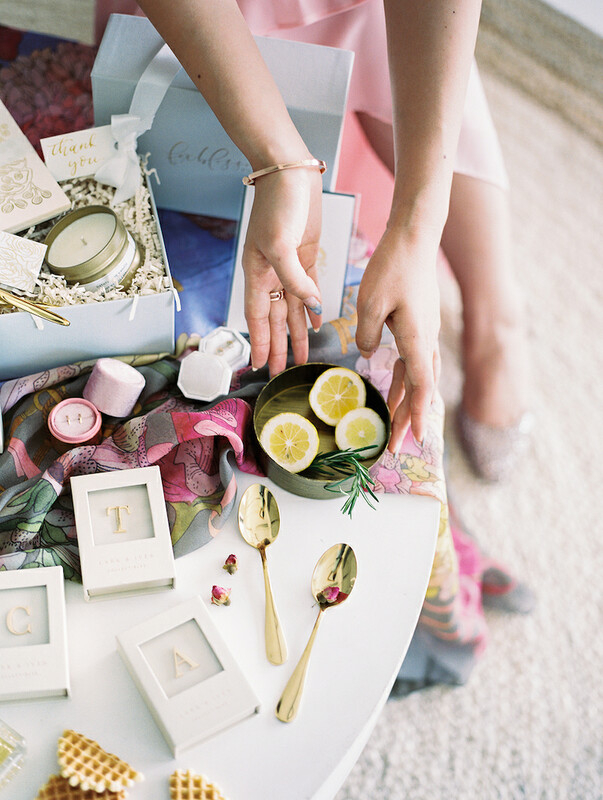 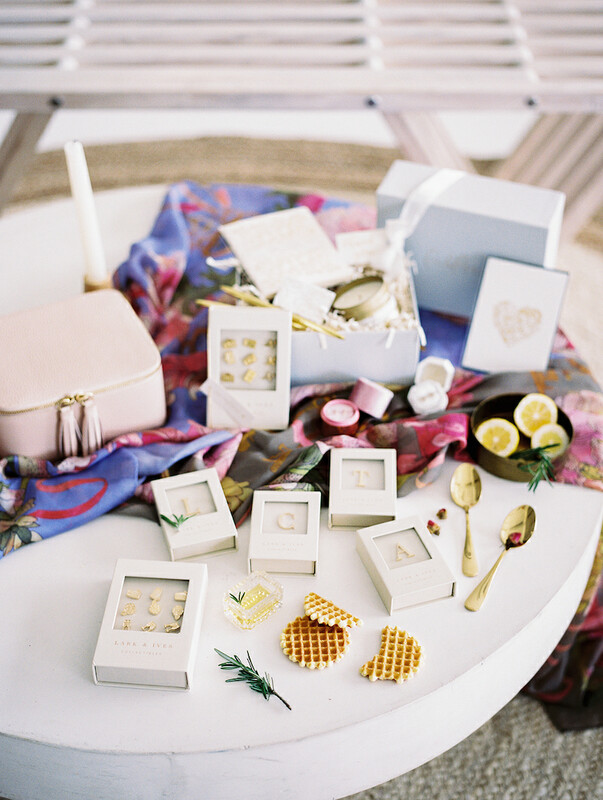 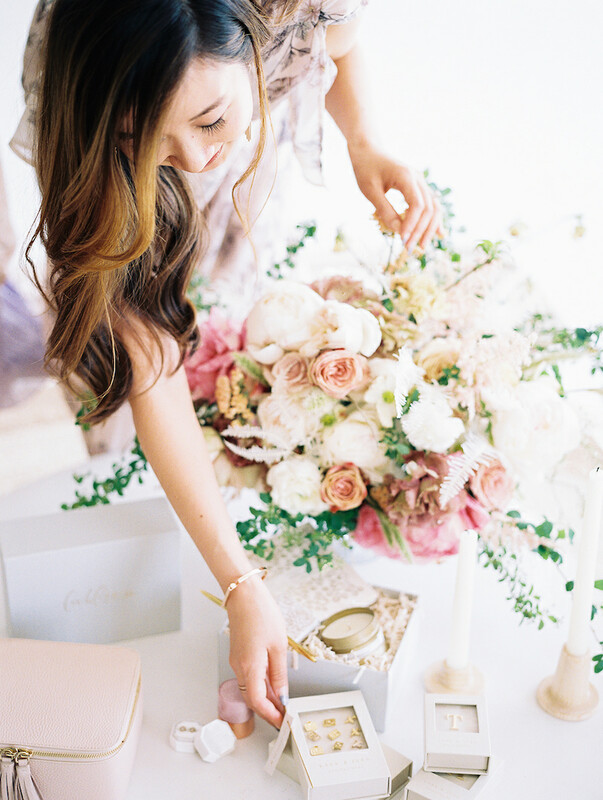 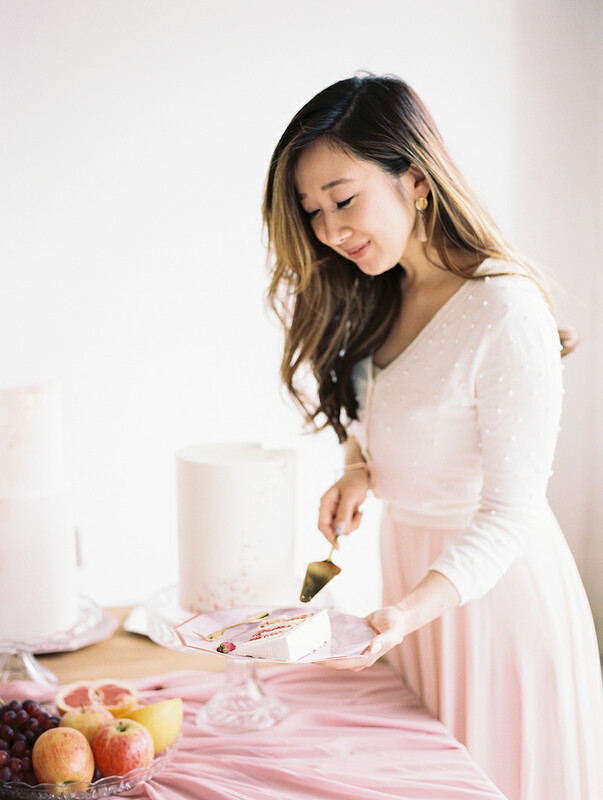 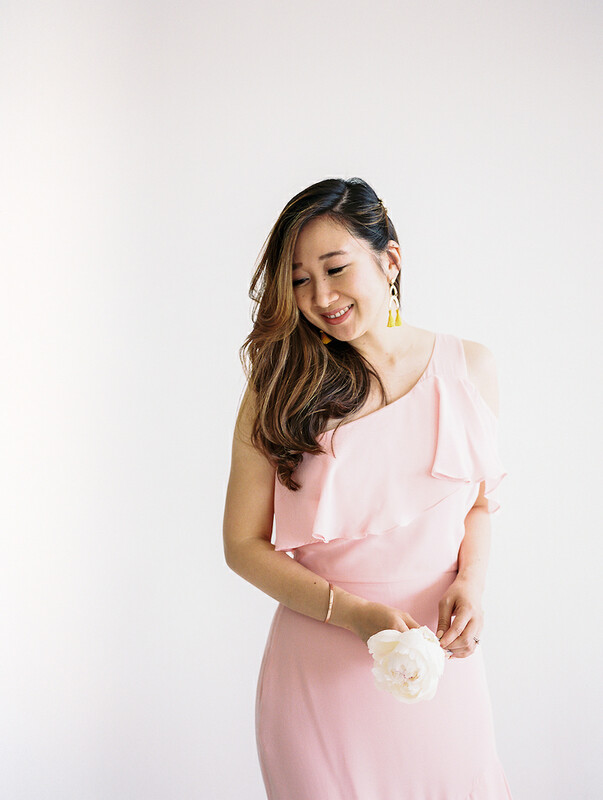 As we create all of our designs with an emphasis on intention, for guest favors, we’ve worked with Tricia on selecting the gifts we absolutely love and are all thoughtfully curated and designed.